Don’t miss Catalina’s legendary pirate party, where you can channel your inner buccaneer and enjoy a weekend of swashbuckling fun, including live music, costume contests, treasure hunts and more. Whether you come for a day or stay for the weekend, chart a course for the 29th Annual Buccaneer Days in Two Harbors. 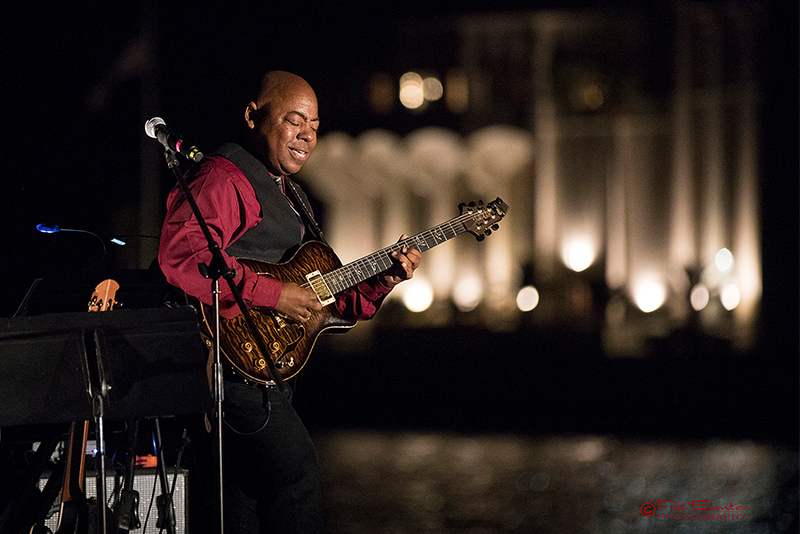 Catalina celebrates Jazz for two consecutive weekends with the longest running Smooth Jazz festival in the US. On Thursday nights, musicians will perform under the stars for “Unplugged” at the Descanso Beach Club. In the historic 1929 Casino Ballroom on Friday to Sunday, music lovers can dance the night away to 25 different stars of Smooth Jazz. Live music, food, games, hayrides, pumpkin patch on the beach, and much more! Join the Avalon for Fall Fest along Crescent Avenue as they raise money for local charities and kick off Fall. Fun for the whole family! If you’ve ever wondered what living in Avalon is like, this one-of-a-kind tour is your chance. If you live on the Island, this is when you can peek into that house you’ve always wanted to see what the inside looks like! The Avalon Home Tour is a self-paced look into five unique homes on our beautiful and colorful island. Don’t miss this opportunity to admire sites, furnishings and amazing views that have been treasured by families for generations but seldom seen by visitors. Break out your costume and celebrate Halloween with the Catalina Island Conservancy at the Wrigley Memorial & Botanic Garden. Enjoy festivities such as the Trail of Fright, Craft Alley, Catalina Island Bone Yard, Costume Contest, Spooky Trail of Games, DJ Dance Party, Garden Treasure Hunt, Owl Pellet Dissection, Photo Booth, Concessions and so much more! Don your favorite costume and join island school kids and residents alike for the Annual Halloween Parade down Crescent Avenue starting at 4 pm. Join the wacky and outrageous fun at El Galleon’s annual Halloween Karaoke Costume Party. Karaoke party starts at 9 pm, where you can sing all the monster favorites with over 20,000 songs to choose from! Vote on your favorite costumes with 1st prize winning a Lobster Dinner for Two. Happy Hour from 3 pm - 6 pm and Sunset Dinner Specials available from 5 pm - 7 pm. No cover charge, must be 21 and over. In celebration of the Día de los Muertos (Day of the Dead), the Catalina Island Museum will erect an ofrenda in the lobby decorated with traditional paper cuttings, sugar skulls and marigold flowers. To honor deceased family members, the community and visitors are encouraged to contribute images, mementos, favorite foods and beverages of family members and friends to be placed on the ofrenda. Join REI on the first ever fully supported Trans-Catalina Trail Expedition where hikers will explore the rugged island interior while camping next to pristine beaches. Covering 38.5 miles in four days, hikers will traverse the Island starting at the trailhead in Avalon and finishing at Two Harbors (after winding through the West End of the Island). Along the way, participants will have the opportunity to see some of the Island's wildlife and pristine views. The Catalina Island Triathlon & Duathlon attract triathletes for one of the last races of the season. The Island’s unique and beautiful setting will challenge the beginner and thrill the veteran. Join Catalina’s Eco Marathon, Half Marathon, 10K or Kid’s Run for some of the most rugged and breathtaking trails you will ever experience! Start Thanksgiving morning with a 5K fun run. Registration is free and all ages are welcome. Afterwards, enjoy a traditional family-style Thanksgiving dinner with all the trimmings at Harbor Reef Restaurant. Reservations are required, so please call 310.510.4215. For more information about these activities and events, visit the Catalina Chamber website.